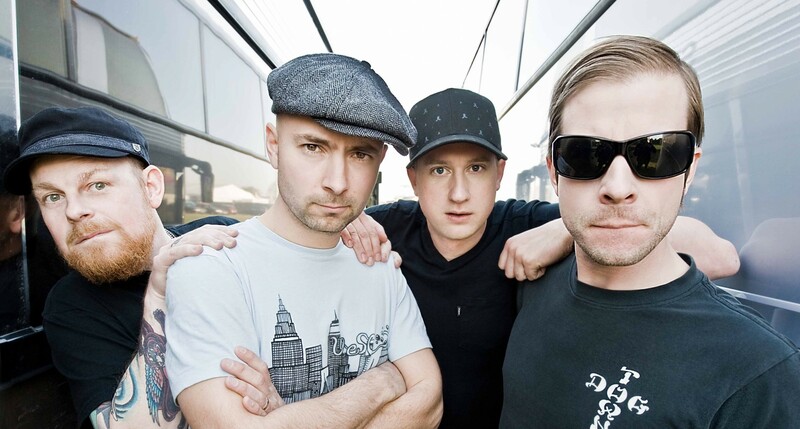 Swedish skate-punks Millencolin are gearing up for their latest UK and mainland European tour, before jumping on a plane to the other side of the world in April. By no means new to the road, the influential four-piece have celebrated international success since the turn of the century, in-part riding on the waves of classic records ‘Pennybridge Pioneers’ and ‘Home From Home’. With last year’s ‘True Brew’ LP showing no sings of slowing things down, we interrupted preparations to find out just how guitarist Erik Ohlsson is feeling, and his expectations of the tour. So your upcoming EP is out February 26th? What’s the background behind that? When we recorded the ‘True Brew’ LP, there were two other songs that we chose not to put on the album as there were too many on the album. We also decided to re-record ‘True Brew’ – the song – in Swedish, so it actually feels like a new release rather than a digital B-Side. It’s also being released on vinyl. Do you think we need political punk bands now that Europe is leaning more and more to the right-wing? Europe has become a bit more racist and right-wing and we do have a bunch of anti-racist songs on the new album. There’s a load of stuff on social media and you get so much manipulated news off Facebook that idiots get too much airtime. Before, when it was more controlled, journalism would be a profession and it’d be your duty to check your sources and look for truths. Now, it’s like you can post misinformation which becomes truth for millions of followers on social media. You’re doing three shows in the UK – do you love it here or what? Well we’ve been here loads of times but before we did Slam Dunk Festival last year we didn’t ever do club tours or indoor shows. This time around it’ll be the first time we play club shows since about 7 years ago. Does the reception here ever surprise you? We had such a long career and I’m surprised that people remember us anywhere. The popularity of punk rock goes up and down but whenever we tour in the Western world, people seem to still come out for us. The new album was really well received so we are super stoked that we still have a big following. We’ve never been to China or India or Russia – we’ve had offers – but sometimes it doesn’t work out. We got an offer to play right on the Ukraine border and that was just when that plane got hit which was unfortunate. We have a lot of areas to cover yet but we’re going to Australia and the USA after Europe. Do you ever get tired of travelling then, or is this still fun after all these years? I hate travelling. I hate airports and everything but I love the venues and playing shows. It makes up for everything. From a tourists’ perspective, we’ve seen all that stuff years ago, but going to gigs and just hanging out is good enough. So has touring become a bit more comfortable over the last couple of decades? I’m super happy that I’m able to live off the band, selling records and touring for twenty years. It was right around 2000 that we realised that we could have a good tour bus and not a small van. We’re a big band but we’re not huge. We still have to set a budget – some bands, by the end of the tour, have lost money. I know one Swedish band which hired a bus and some stage props. When they started the tour, the manager told them straight up, “you won’t make any money from this tour at all”. Paying to get on tour won’t work in the long run. Why is it so hard to make money selling records? Is it the market or the label? We’re really lucky to be on a label, and what most people don’t get is that the label works for you most of the time rather than steals your money. They want to sell records too and we’re grateful just to be on a label. We’ve got a good contract which is completely fair, and it’s kinda sad that there are less big labels these days. When people started to download music around the early 2000s, it made it harder – I’m happy that our label has managed to withstand that. What are your plans for the future – when do you decide is a good time to stop? We’re booking shows for the fall right now and we’ll probably go on touring for this album until early 2017. Then we’ll have to focus on new material, I guess. I can’t do artwork on tour or work on a new album so we definitely need a break sometime to do that. Millencolin are on the road, kicking off their EU tour at London’s Electric Ballroom on the 12th February 2016, before heading to Australia in April. The band will release their ‘True Brew’ EP on the 26th February. 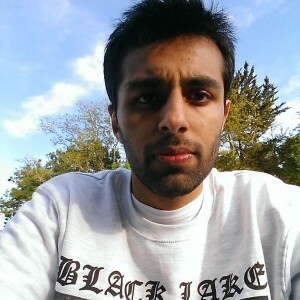 Samarth loves punk songs which are under a minute long. He also writes about DIY punk a lot, and he needs a job.